Not to minimize the influence of the many Obama holdovers still in place, but from National Security Advisor LTG H.R. McMaster, to Dina Habib Powell, President Trump's Deputy National Security Advisor for Strategy, to Marshall Billingslea, a Bush State Department and Pentagon alumni, who was nominated to be assistant secretary for terrorist financing in the Department of the Treasury; and John J. Sullivan, who served in senior posts in the Justice, Defense and Commerce Departments during the Bush administration, and was nominated to be deputy secretary of state, Bush national security thinking is beginning to permeate the Trump administration. The stated aim of the 2009 “surge” and associated COIN operations was to secure the Afghan people by employing the method of “clear, hold, and build” -- in other words, push the insurgents out, keep them out, and use the resulting space and time to establish a legitimate government, build capable security forces, and improve the Afghan economy. 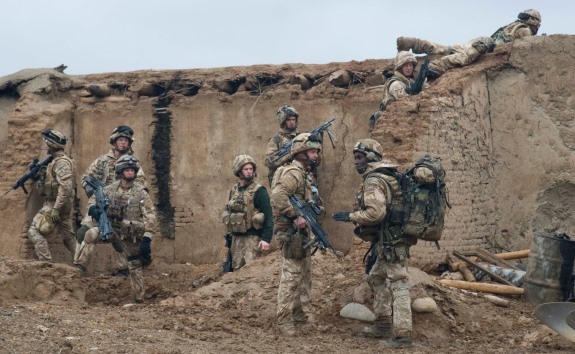 With persistent outside efforts, advocates of the COIN doctrine asserted, the capacity of the Afghan government would steadily grow, the levels of U.S. and international assistance would decline, and the insurgency would eventually be defeated. Fanned by Iran, and other sources of Islamism, it would pop-up again unless Afghan society is completely remade, a multi-generational job of nation building that few, if any, Americans would support and even fewer Afghans would welcome. Submitted by AmericanBelle on Mon, 05/15/2017 - 12:28. Perhaps the real reason we need to go back is to win back all the land we had won but lost when Obama handed it all back to the terrorists! Securing those places will keep terrorists at bay while Afghanis can get back to the business of rebuilding their country!